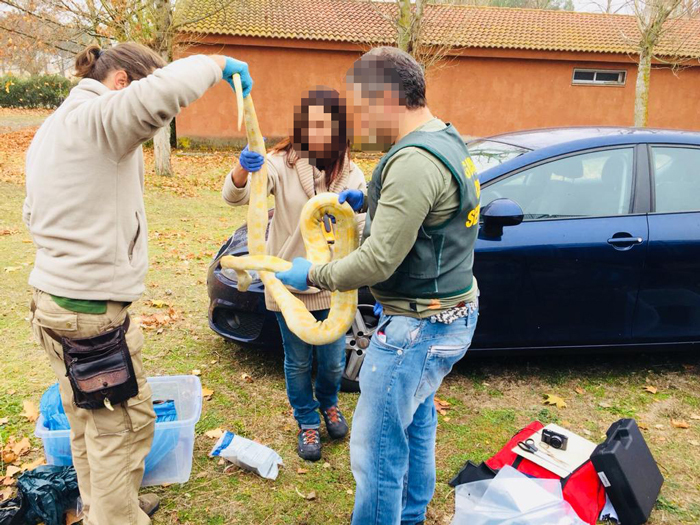 A Spanish criminal network trafficking rare animals has been dismantled by the Spanish Guardia Civil after more than 600 reptiles from the Americas, Africa, Asia and Oceania were found. Nine people have been arrested and seven, suspected members of the criminal network, are under investigation. Members of the criminal group bought the animals from Australia, the Fiji Islands, Mexico, New Zealand, Oman and South Africa, then illegally transported them to Spain. This operation was aided by Europol, which provided analytical and operational support to all Member States involved. Europol assisted Guardia Civil officers by deploying a team to Spain with a mobile office and UFED extraction capabilities on the internationally-coordinated action day, providing them with real-time intelligence analysis and forensic support. This helped to identify transnational links with other serious and organised crimes. Overall law enforcement authorities from 17 countries worldwide were involved in the operation.